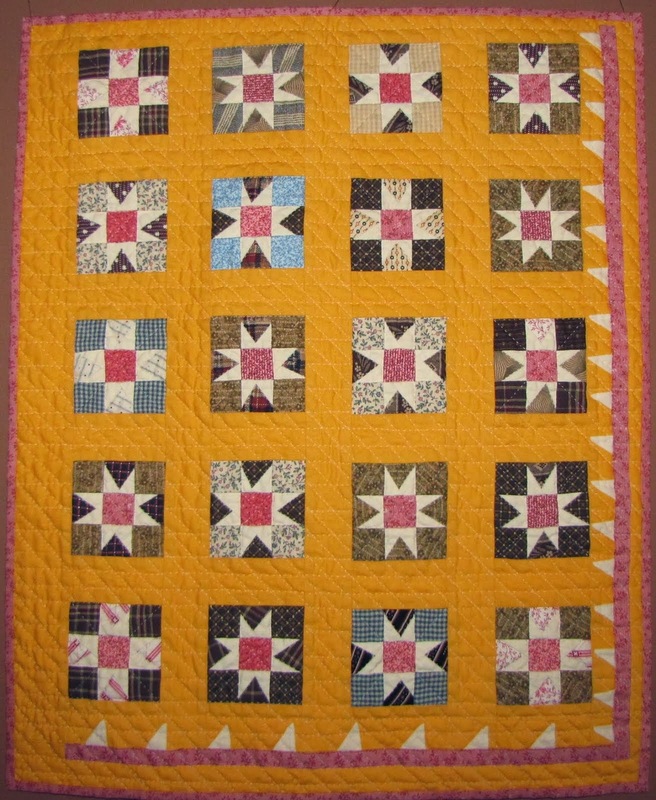 Center of my antique tumbling block star quilt c. 1890 from the Kreider family of Lancaster Co. Pennsylvania. It is unusual not only for its maker's careful color placement to make stars and cubes and match opposing star points but most importantly for its center star of solid fabrics. 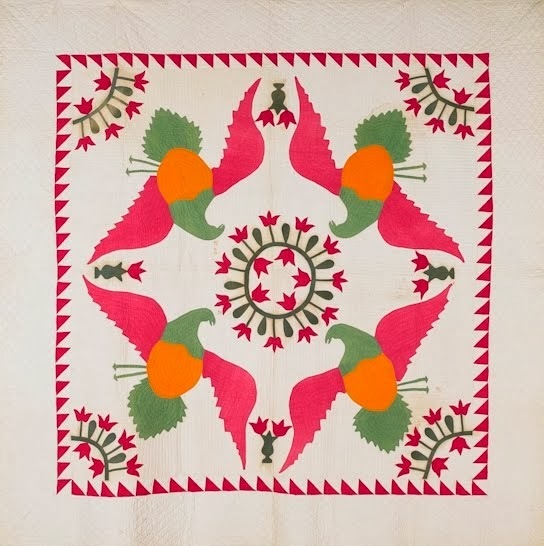 It is part of a small group of less than a dozen tumbling block star quilts found in Lancaster Co. each with a distinctive center block (and only the center block) composed of solid fabric as shown above. 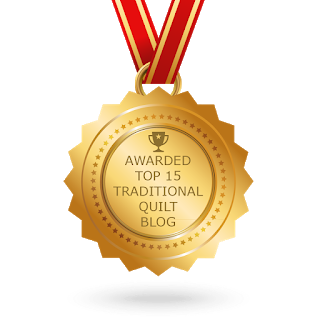 This interesting niche group of tumbling block star quilts was discovered by my friend Greta Van Den Berg and luckily I was with her when she made the discovery. I've since acquired two of my own both found by Donna Vitale of GBbest. Here is another star showing the careful matching of opposing star points - indigo print to indigo print, madder paisley to madder paisley. Also note the floral quilting in the diamonds. And here is one of the delightful novelty prints: a circus dog jumping through a hoop. Click on this picture to enlarge or increase your font size to really see the wonderful novelty prints in this block. On the left is a butterfly print and on the right there is a delightful horse and rider (and a few with unknown motifs). Also see the 2 different but very closely matched green prints.